China is losing the so-called "demographic dividend" as its population ages but that's not necessarily bad for the economy, some experts said. The world's second-largest economy used to benefit greatly from its large population base, with cheap labor pouring into low-added value manufacturing plants that turned China into the world's factory. But China's population is getting older, with people living longer but having fewer children, which is squeezing the base of the population pyramid. China's average life expectancy increased by 32.64 years, or by 75 percent, between 1960 and 2015, thepaper.cn reported in 2016. 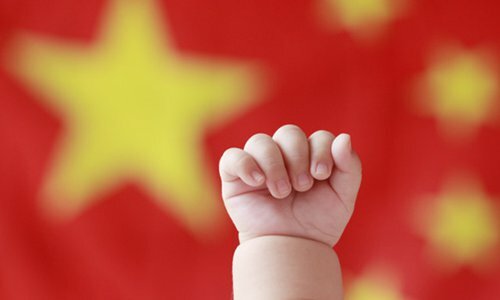 China's average life expectancy will be 77.3 years by the end of 2020, according to a document released by a number of government departments including the National Development and Reform Commission recently. Meanwhile, births are slumping. Figures from the National Bureau of Statistics showed that there were 15.23 million new births in 2018, falling by about 2 million compared with 2017. Ye Hang, an economics professor at the College of Economics at Zhejiang University, said that an aging population is inevitable in China and around the world, and it can't be easily reversed using policy tools like encouraging more births. But experts said that the demographic change won't necessarily have a negative economic impact. "Different demographic profiles produce different challenges and different opportunities but they are not necessary problems," said George Leeson, director of the Oxford Institute of Population Ageing. "As technology comes, perhaps human labor won't be much needed for manufacturing. The fear of a labor shortage might be little overblown," he told the Global Times. According to Leeson, it isn't necessary to have a big population to make an economic leap, as robots can replace human labor to some extent. "One could say major economic powers in the world today are not the countries with hundreds of millions, even billions of people. There are global technology companies with limited numbers of employees but with huge economic output, even bigger than some countries," he said. "I am not one of those people who think the aging of the population is a crisis." Ye also said that the post-industrial era does not depend on young labor that much. "Nowadays, many jobs previously done by young workers are done by robots. So what we read in the news is not about a shortage of labor, but a shortage of jobs." Ye also mentioned that in China, many retired people still have the ability to work, and they will gradually find ways to participate in economic activities. "I think the ultimate way to boost China's economy is not to return to the old model of cheap-labor manufacturing, but to insist on and speed up industrial transformation," he said.